3317 Indian Trail is a 3 bedroom, 2 bathroom FIXER UPPER with a 2 carport. 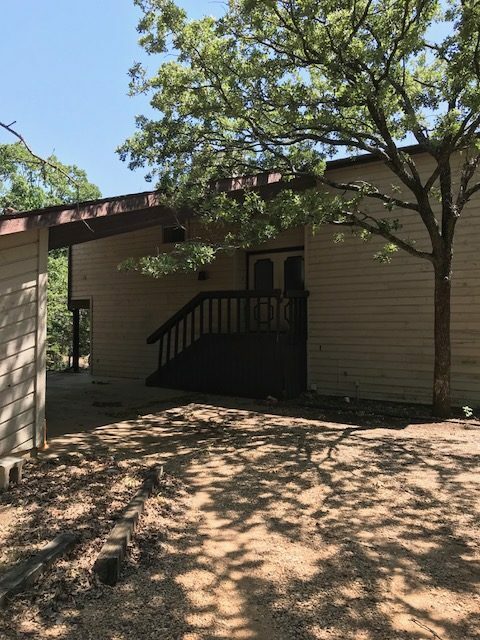 It features 2 fireplaces, 2 living areas and a circular drive on a heavily wooded lot near Lake Grapevine. This home is available for $1795/month lease to own; $2000/month rent as is; $289,900 cash to purchase; $299,900 owner financed. Section 8 is also available for this home for $2400/month.